Meet Luke: Aspiring Engineer, Scientist, and Coder! Luke is in 4th grade and lives in Kansas! He spends his free time with anything related to engineering, science, and coding. We asked Luke a few questions about his experience coding, and learned more about his brainstorming process for his projects. What do you want to be when you grow up? An engineer, scientist, or a coder because I like to build stuff and I like to do science experiments. For example, I like to build stuff with a code board. I’ve built a tower. How did you get introduced to coding? Through the Hour of Code program at my school. It was fun, but we didn’t use it that often, so I continued to use Tynker at home. Do you look at the Tynker community projects? Yeah, sometimes. My favorite project is the undersea diver project. What’s your favorite feature in Tynker? The feature where you can build your own characters. I also like the new kid characters. What advice would you give for kids starting out with Tynker? I would tell them that the move button teleports you to where you move – if you want to make the walking animation, you have to make a line of code for it. When I was learning how to use Tynker, I would put a repeat block and wait 0.1 seconds and move 5 steps. I also have the animate walk in the loop, so how many times it loops is how far it goes. I figured this out when I tried to use the move button for that function and it didn’t work. What is your favorite thing you’ve made? Probably my Goblin Defense project. I like that it has multiple difficulties so people can start out easy and go on to harder levels. What are you planning to make next? Nothing yet, because I don’t think of projects I want to make until I’m actually making them. My brainstorming process usually starts with an empty, blank project. I decide if want it to be a game or story, choose what characters I want it to have, then add the game functions. 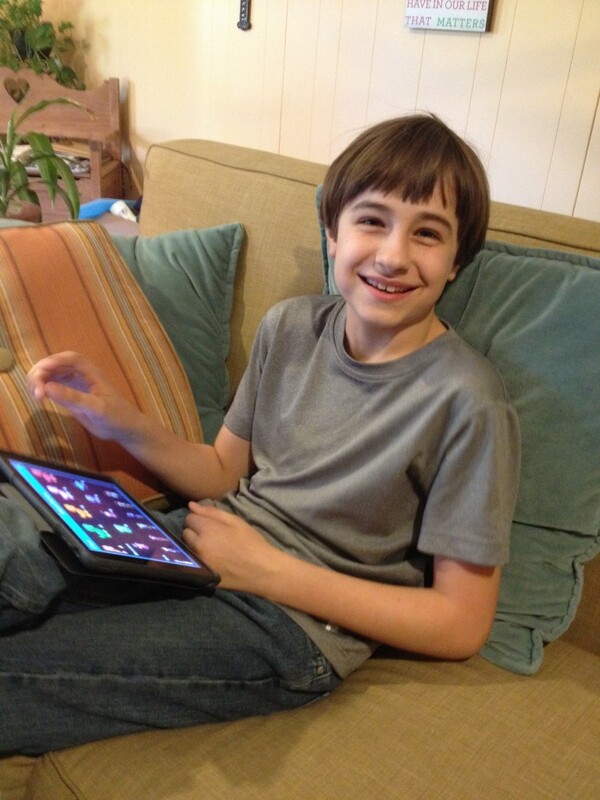 We’re glad that coding has been such a positive new pastime for Luke! Thanks for speaking with us, Stephanie and Luke. Be sure to share your future projects with us – we’re looking forward to seeing what you use your brainstorming process for next! Check out a couple of Luke’s other coding projects, including “LOL machine” and “physics challenge 2 – the maze”!